Creationist activist Dr. Don McLeroy said it: Give creationist kids evolution. Because the evidence for evolution is so weak, creationist kids will be all the more convinced of the Bible’s truths. McLeroy’s plea for evolution-heavy textbooks has left us controversy-watchers scratching our heads. Did he really say that? McLeroy leapt to national prominence a few years back in his role as chairman of the Texas State Board of Education. As documented in the indispensable film The Revisionaries, McLeroy used his influence to promote a profoundly conservative vision of proper educational content for Texas schoolchildren. Earlier this week, Dr. McLeroy returned to testify in front of his former colleagues on the Texas school board. This time, McLeroy surprised everyone by insisting that the board should adopt a new set of science textbooks, books that evolutionary scientists have praised for their evolutionary content. The Texas Freedom Network has covered these hearings thoroughly. In general, creationists have been opposing the new science books. Let the children read the books, McLeroy told the board. The evidence for evolution is so weak, he insisted, that open-minded children will be convinced of evolution’s ridiculousness. McLeroy’s testimony was so baffling to board members that a couple of them asked for clarification. Mrs. Mavis Knight asked him if he was being facetious. No, McLeroy explained (around minute seven of this ten-minute clip). He really wanted students to read these evolutionary textbooks. the inquisitive students, the ones that are not blind, look at the evidence in these books. They don’t even give a hint to explain the complexity….Let’s get these books to the kids; let the little young student in the classroom ask, ‘Is this all the evidence that they can give?’ That’s why I think it’ll strike a major blow to the teaching of evolution. Board member Thomas Ratliff also struggled to understand McLeroy’s position. Did he really want kids to read evolutionary science? How are we to understand this strange phenomenon? An arch-creationist plugging for excellent, evolution-rich science textbooks? And even concluding that he may be wrong? But isn’t his testimony actually fairly logical? Consistent? Even admirable? After all, creationists have long insisted that evolution falls apart on its own terms. If they really believe that, doesn’t it make sense to expose people to its ridiculous claims? After all, if evolutionary science really depends only on prejudice and closedmindedness, as creationists often assert (I’ve tracked this argument here and here, for example) , shouldn’t creationists simply give evolution writers enough rope to hang themselves? Could McLeroy’s testimony be modern young-earth creationism’s Galileo moment? When Galileo accepted his punishment for his argument that the earth went around the sun, he is said to have noted, “E pur si muove,”… “It still moves.” Whatever bad scientists said, the truth was the truth. McLeroy’s plea to expose children to good evolutionary textbooks can be taken in a similar way. Supremely confident in the logical weakness of evolutionary theory, McLeroy can push for more and more of it. Knowing, like Galileo, that whatever bad scientists said, the truth was the truth. Reblogged this on Leaving Fundamentalism. Or is McLeroy behaving like a good politician and, seeing defeat as inevitable, calling it victory? EDITOR’S NOTE: Paul is commenting on a thread from Jonny’s Leaving Fundamentalism post. For those of you too lazy to click over and read it there, I’ll paste our discussion here as well. See below. I agree that Paul’s analysis makes a lot of sense. Nevertheless, I feel as if McLeroy really means it. Not that I have any special knowledge about Dr. McLeroy’s internal machinations, but he always sounds to me like an earnest, sincere person. Call me naive, but I tend to take him at his word. Jonny, What’s your take on this story? Do you trust McLeroy’s motives? Or do you detect a more sinister creationist scheme? BTW, if you haven’t yet watched The Revisionaries, I recommend it. 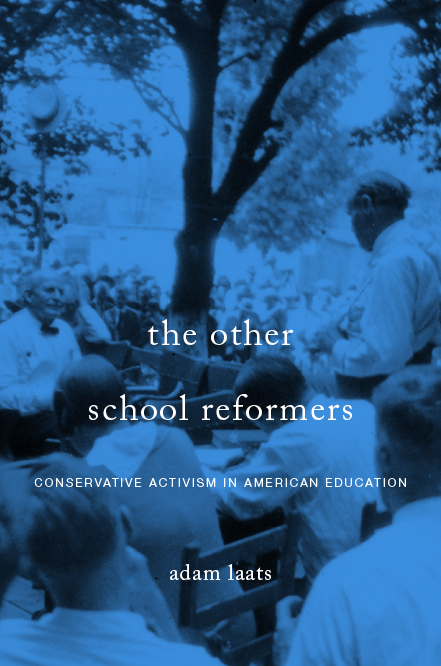 For folks trying to understand American educational conservatism, it’s indispensable. I’m glad you mentioned The Revisionaries. A while ago the British Library showed a film about creationism. I couldn’t make it to the screening, and I’ve been trying to remember the title ever since. I’m pretty sure this was it. I can’t think of a better explanation for McLeroy’s words than that he believes them. The only ulterior motive I can think of is that he really supports evolution, and that makes no sense at all. Do you have an idea what an ulterior motive might be? Funnily enough, it was a confidence similar to this that helped me to leave that type of religion. I eventually concluded “Well, if it’s true, it will stand up to scrutiny”. After that, I allowed myself to read things that I previously wouldn’t, for fear that they would lead me astray. Your mind is more devious than mine, Adam! Creationist here. We homeschool our kids and give them plenty of evolution because most of it is correct, we normally just differ on the timescale. Then on the bigger claims that have no evidence, our kids recognize how it fails. @Tim, Would you be comfortable with your kids learning science in a non-homeschool, with a textbook that was entirely evolutionary in its focus? That is, a textbook that did not suggest that there were alternative explanations of life and the universe? Here’s why I ask: Your comment made me realize that I would not want my daughter to learn any sort of creationism in her school science classes. This is not because I think the scientific evidence for creationism is stronger. IMHO, the mainstream scientific case for the facticity of evolution, and descent with modification by a process of natural selection, is a bajillion times more convincing than the creation-science case(s) for intelligent direction of the emergence of life. BUT! My daughter works hard in school to learn what she is taught. She would work hard to learn creation science, if that was what was taught. And I would not want her to grow up thinking that creation science was correct science. McLeroy’s comments to the Texas SBOE, and your comment here, suggest that creationist kids–even young ones–should simply be trusted to see the falsity of evolution’s claims. I’m fully confident in the superiority of mainstream evolution science to creation science(s), but I still wouldn’t want my child to be confused at school by being taught what I consider to be bad science. I do not think I would be comfortable with that because I believe they muddy the actual science with speculation – and that’s how they sell it. There is so much good and actual science in evolution, but then they squeeze in speculation and unverifiable assumptions to take what is real and 100% compatible with Biblical creation to something unseen which requires faith and then turns evolution into a religion.